Armin van Buuren could have taken things a little easier in 2009. But once he’s on the go, there’s no stopping him. The past year turned out to be a greater, bigger and better year than he could ever have expected. Not only did he have his title as the number one DJ of the world prolonged by DJ Mag, he also celebrated the 400th episode of his weekly radioshow A State of Trance and released his third artist album ‘Imagine’. And that’s not all. 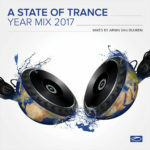 Cause besides his already loaded gig-schedule, he also toured around the globe with his Armin Only: Imagine show, kept providing his 28 million regular listeners with their weekly update in trance through his 2 hours radioshow and saw the fifth edition of his beloved A State of Trance series crashing into the charts. Even if he had the time to slow down, he’d still be working on his one true passion in life: music. 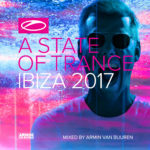 Armin’s much favoured A State of Trance mix album series continues its musical journey with the sixth album already. 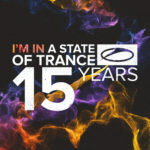 A State of Trance 2009 is Armin’s special selection of exclusive, unreleased tracks, new remixes or approaches and top notch trance tracks, all qualified with the signature ASOT sound. A State of Trance 2009 also means the return of Armin’s Gaia moniker. With a brand new track, ‘Tuvan’, Armin finally produced a follow-up to the legendary ‘4 Elements’. 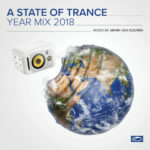 Besides Armin’s own input, you’ll also find new tracks by Andy Moor, Sunlounger, The Blizzard, John O’Callaghan, tyDi, Aly & Fila, Signum, Robert Nickson and many more. 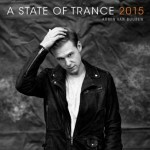 Divided onto two disc, a total of 29 tracks will provide you all the right sounds to get into that state of trance. The first cd covers the ‘On The Beach’ theme, with a spellbinding intro and purely melodic oriented sounds, while the second disk, ‘In The Club’, breaths one of Armin’s club sessions, with a distinctive peak-time sound.